When we are ill or injured the body immediately starts its own healing process in an effort to repair, renew and recover. This energetic process is helped by good diet, exercise, healthy mind and body – a healthy balance. However the process can be slowed down or even stopped by our response to other influences such as grief, shock or inherited tendencies. One of the definitions of health is our ability to adapt to change and trauma. This is where homeopathy comes in. 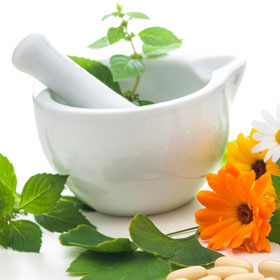 When the body’s natural healing energy becomes stuck, a homeopathic remedy is given. The similar energy of the remedy acts as the catalyst which gets the body’s own forces going again, enabling the natural healing process to continue to repair, renewal and recover. I don’t believe in it…It’s just placebo…You don’t need faith for homeopathy to work. Placebo needs the power of suggestion to work – babies and animals unaware they are being given ‘medicine’ still get better with homeopathy.